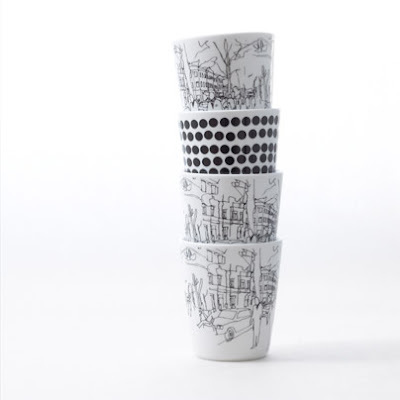 Urban landscapes were the inspiration for designer Maija Louekari's Hetkiä/Moments latte cups. 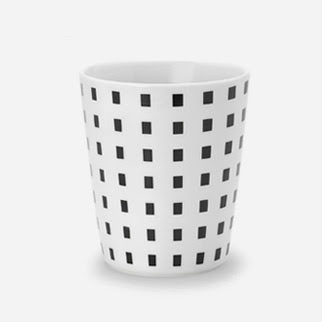 Marjaana Virta's Kullervo pattern on a latte mug. 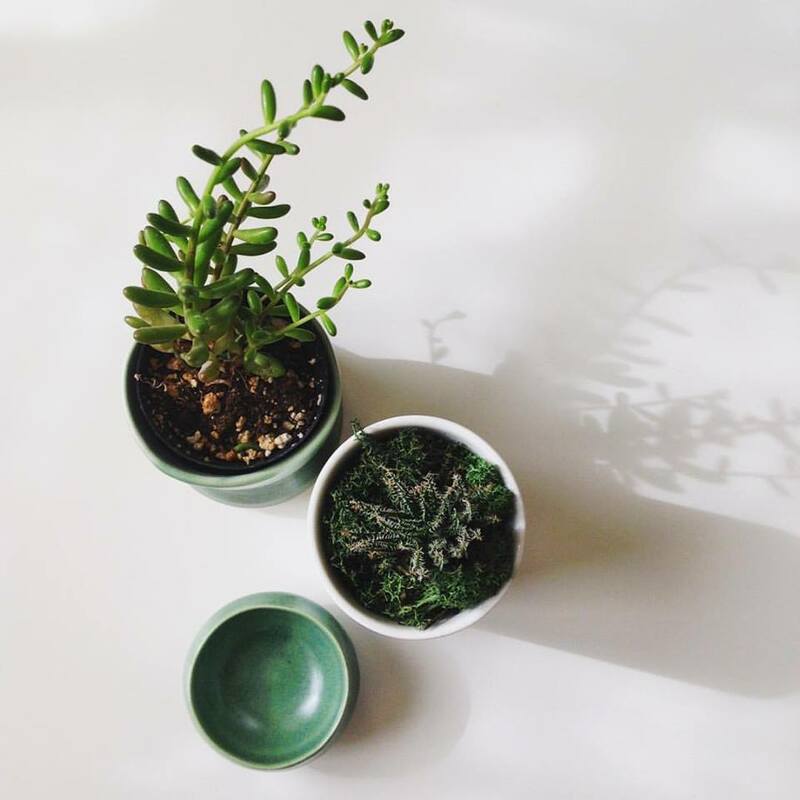 The pleasantly knobby Kirsikka latte mug by Iiro A. Ahokas. 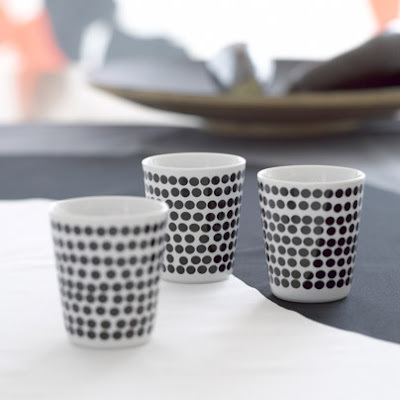 Anna Danielsson's Fokus pattern is available in two colourways, bright red-white and black and white, which can also be combined. 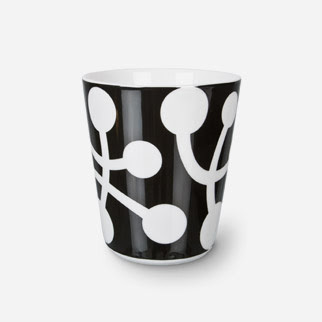 Spent a bit of time happily browsing through the Marimekko site today, and found these black and white latte mug designs quite cool and appealing.